Permins embroidery products all include embroidery fabric, yarn, needles etc. Christmas stocking Elf and tree. Permin 41-6206. Julesok with santa claus and a rabbit. Permin 41-4248. Big Christmas sock with cute elf and tortoise. Permin 41-3257. 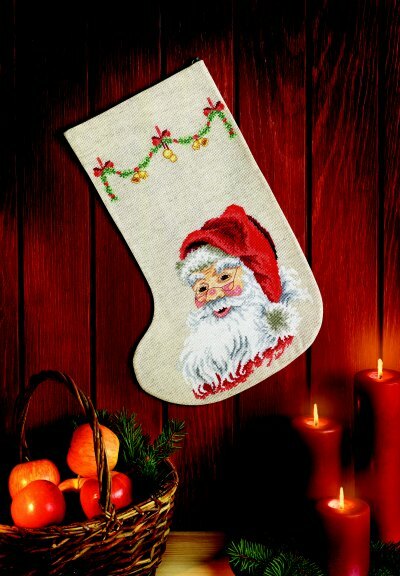 Christmas stocking, ekstra large. Permin 41-1241. Christmas sock with reading Santa. Permin 41-0223. Christmas stockin with Santa Claus, ekstra large. Permin 41-9295. Embroidey Christmas stocking.